Why is it that 24 hours in a day never seems to be enough and we’re constantly wishing we had more time? Effective time management has become more of a mystery to solve or code to crack rather than a formula to follow. While we’re lucky to have time-saving tools and technologies to help make us more efficient, these things can also become great distractions and steal our time. The average person gets 1 interruption every 8 minutes, or approximately 7 an hour, or 50–60 per day. The average interruption takes 5 minutes, totaling about 4 hours or 50% of the average workday. 80% of those interruptions are typically rated as “little value” or “no value” creating approximately 3 hours of wasted time per day. A person who works with a “messy” or cluttered desk spends, on average, 1 1/2 hours per day looking for things or being distracted by things or approximately 7 1/2 per workweek. “Out of sight; out of mind.” When it’s in sight, it’s in mind. Taking 5 minutes per day, 5 days per week to improve one’s job will create 1,200 little improvements to a job over a 5-year period. 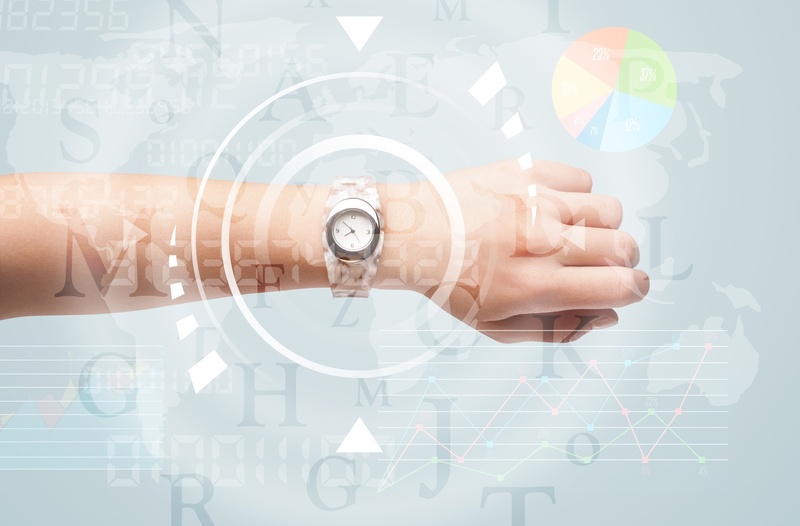 As you can see from all of the above, there are many different factors at play when it comes to understanding where time goes and how to manage it better. If you feel overwhelmed by your to-do list but want to get more done, then try the 11 tips we’ve rounded up. But before we dive in, take a moment to consider when and where you feel most productive. When do I feel most productive? - Is it first thing in the morning? Or later in the evening? Do I prefer silence or does background noise help me focus? While these two considerations may seem unimportant, they are essential to maximizing your productivity. Once you understand when and where you feel most comfortable and effective working, you can create an environment that sets you up for success. First things first, you need to understand where your time is actually going. For instance, in your mind you only spend about 30-minutes on emails, but in reality, this task may take up to an hour or longer. When you track your time, you gain insight into your day and can more easily adjust and refocus as needed. Try an app like HourStack or Toggl. These tools help you keep a log of what you do on a daily, weekly, and monthly basis. Then, you can see a report outlining what’s eating up most of your time so you can re-prioritize as needed. We have deadlines and due dates for a reason. It provides a clear timeline and holds you accountable for completing the task at hand. Similarly, setting a time limit for each task you need to complete is a great way to prevent yourself from getting distracted or procrastinating. For instance, let’s say you need to write a sales proposal for a prospect and that typically takes you an hour. Set a timer for 30-minutes and see how you do. If you give yourself less time than you think it will take, you’ll put your head down and concentrate. You may feel like you’re rushing, but your increased concentration will build momentum and pleasantly surprise you. By limiting the time you spend on a particular task, you box it into a specific period of your day. Not only does this save time, but you make a conscious choice about how much time to spend on your work. 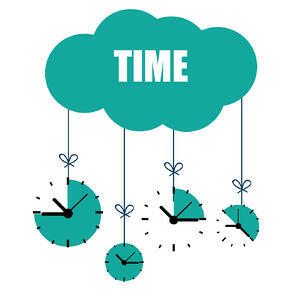 “Sorry I’m late, my last meeting ran over.” Whether you are on the receiving end of this commonly heard phrase or if you’re the one saying it, jumping from meeting to meeting or task to task may seem like a great use of your time, but it actually has the opposite effect. To work at maximum potential, you need time to think, clear your head, and recharge before moving on to another task or meeting. After all, the human brain can only focus for about 90-minutes at a time. So, the next time you look at your calendar and it’s filled with back-to-back meetings, you may want to rethink your day. Can you schedule some buffer-time between activities? This will allow for some wiggle room in case you need a few more minutes to finish the task, or will prevent you from running late to your next meeting. The ideal amount of buffer room is 15-to-25-minutes. Planning out what needs to get done is a great way to keep yourself in check and remember every task that is just on the horizon. How you want to go about it is up to you - it might end up being a daily or weekly list based on the amount of activities that will need to be done. Creating separate lists for work related and personal items is also a good idea. Keeping them in one notebook, in an app on your smartphone, or simply even on sticky notes can help you stay on top of everything you have going on. Being aware of what order things should be done in is a crucial component of being effective, since not every task has the same importance and time constraints attached to it. Knowing what to start on first and how much time to allot is imperative. Grouping similar tasks together can also help you get organized and create a kind of flow to your day. Start those “looming” items as early as possible. Commit to getting a small piece done each day, even if it’s just for 15 minutes. It’ll add up quickly and later you’ll be grateful you weren’t scrambling at the last moment. If other people are involved in a project, reach out to them as early as possible to get the ball rolling. Tackling a task as a group is generally much more complicated because it involves coordinating multiple schedules, as well as, trusting others and yourself to stick to the plan. Getting everything done early will save everyone unexpected un-pleasantries towards the deadline. Here’s a secret: multitasking doesn’t really exist. When sitting down to work, make that your top priority. Turn off email notifications and close any tabs in your browser that you know you won’t be able to resist and aren’t relevant to the task at hand. Make those around you aware that you’re occupied and shouldn’t be disturbed. Constant interruptions no matter how short can quickly add up and prevent you from finishing anything. If you feel your focus fading while working, take a short break. Get away from your desk for a few minutes and turn your attention towards something else entirely. Hopefully when you get back to the task at hand, you’ll feel more refreshed and ready to dive back in. However, be careful to gauge your breaks and not make them too long or you might find it even more difficult to restart. By continuing to adjust your work methods and keeping the listed tips in mind, you should be able to quickly make it a habit to work more efficiently and effectively. Those around you will also start to change their behavior once they know your patterns and everything should start running much more smoothly. No matter how much you have piled on to your plate, remember, don’t stress. If you start working more productively, you’ll constantly be chipping away at what needs to be done and it will be manageable. You’re one person and you only have so much time and energy to give. Saying “no” may seem negative at the time because it’s difficult to tell our friends, family, boss, or co-workers “no”. You may feel like you’re letting them down in the moment but you’re really just prioritizing your time in alignment with your values and goals. This TED talk is one of my favorites, and if you’re looking for some inspiration and encouragement about how to spend your time more wisely, then tune in and be motivated to only spend time on the things that matter most to you. Unfortunately we can’t add more hours to a day, but we can change our habits and begin managing our time effectively to start getting things done. What is your best time management tip? Are there any must have apps that help you organize your time? *Originally published in June 2014. Updated in September 2018.